The ideas behind Lions Quest date back to 1975, when a teenager named Rick Little set out on a “quest” to help other young people develop the skills and strength of character needed to succeed as adults. Rick conducted a survey of over 2,000 high school students to determine the issues that concerned them most and consulted experienced teachers who suggested including a teacher workshop which would serve as a classroom model. The program was so successful at the high school level that soon middle and elementary schools were asking for age appropriate positive youth development programs. Little eventually founded and served as chief executive officer of the International Youth Foundation. In 1984, Lions Clubs International Foundation (LCIF) gave its first grant to Quest International to help further expand the program. From that point, support of Quest became a key tenet of LCIF’s service to youth. For the next eighteen years, LCIF supported Quest at the organizational level through grants and technical collaboration, and at the local level through club involvement in community implementation of the program in schools. 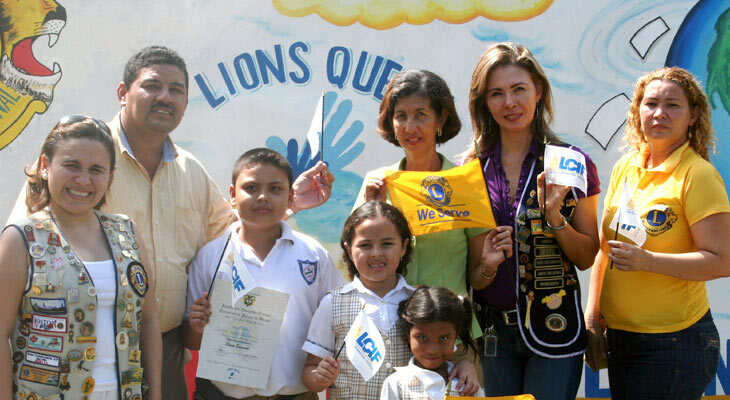 LCIF took formal ownership of Lions Quest on September 30, 2002. To date, LCIF has awarded more than 360 grants for a cumulative total of more than $20 million to expand or establish Lions Quest programs across the United States and around the world. Since that time, the program has grown to include 40 languages in over 90 countries across the globe. Lions have been key to the success and expansion of Lions Quest, supporting the program through local funding, coordinating teacher training, co-hosting parent meetings, speaking to youth, and undertaking joint service projects with students. Since 1917, Lions Clubs International has embraced the dream of its founder, Melvin Jones, and worked for the betterment of local communities and the world at large. Whether responding when disaster strikes, helping the disabled face obstacles and challenges, or providing children with a safe and healthy learning environment, Lions Clubs International members are there to serve. It is this dedication and commitment to service that has made Lions Clubs International the world’s largest service organization with 1.35 million members in 208 countries and geographic areas. More than 30 years ago, Lions embraced the idea of comprehensive youth development to help children grow in a positive direction, free from the dangers of drugs and violence and able to make positive decisions. Lions made a commitment to further the development of the Lions Quest program, and continue to support the program financially and with volunteer labor throughout the world.